Discover amazing Fractured Lands plays, including great plays, epic fails, funny moments and user-submitted guides to help you become better in playing Fractured Lands battle royale game. Best weapon in the game? 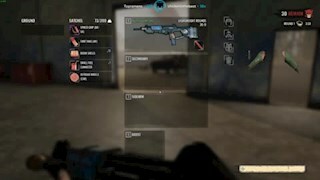 This Straug AR rifle is overpowered AF. 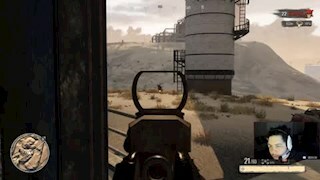 In this Fractured Lands video clip, you can see JoshOG melting a car with his Straug AR auto rifle. 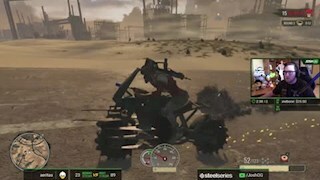 This weapon is..
A guy on a bike in Fractured Lands try to run over JoshOGwith his Mad Max style bike but Josh quickly eliminates him with this Straug AR auto rifle. 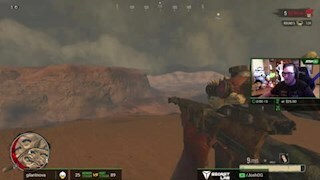 This auto..
JoshOG amazing snipe with Dragun Breath SR sniper rifle in Fractured Lands. 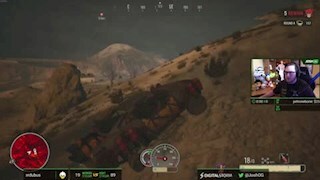 He saw that player but with that awful visibility and that distance, you..
Poor JoshOG, trying to drive a car in Fractured Lands but have bo back tires. It's actually a really cool stuff being able to take out the tires of a car. This ..
Greekgodx with a perfect snipe on a dude far from him. This amazing shot if from the game Fractured Lands. Toe be honest, I have no idea what weapon it.. Funny moment in Fractured Lands. 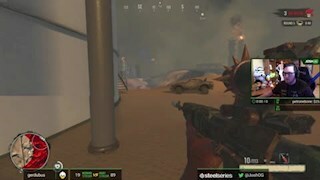 Lirik went out of a room, shooting a guy in a car. He put a few hits and that player suddenly goes out of the car with a club.. Fractured Lands is a battle royale game "Mad Max" style, taking place in a post-apocalyptic wasteland. Like you expect, this game has many cool grungy cars which players can drive in this post-apocalyptic wasteland. Other than that, you can find weapons, gear, and fuel which you'll need to help you secure that sweet victory and be the last man standing. One of the great elements in this Fractured Lands is vehicle combat and it's one of the greatest weapons you have in this game. You can upgrade your vehicles with powerful attachments like a spiked bumper, Nitro for extra speed, etc. This means that players can survive longer in open spaces if they have a powerful upgraded vehicle. Fractured Lands is an intensive PvP shooter that gives more weight to vehicles, which many players love. These unique mechanics brings a breath of fresh air to the Battle Royale genre and it feels therefore quite different from other "Battle Royale games that I've previously played before. If you love the Max Max theme and always wanted to play a battle royale game in that type of post apocalyptics grungy environment, I'm sure you'll enjoy playing Fractured Lands. That post-apocalyptic BR game feels like a mixture of PBUG, Mad Max and Borderlands (Can't wait to play a Borderlands Battle Royale game!). I love the vehicle's modifications/customization. In PUBG for example, vehicles are just used to move from one place to another and as cover, but this game takes it to a whole new level. If you are bored with some of the current battle royale games, you might want to check this game out. As of the time of writing this article, the game is in early access but I watched streamers steam the game and I really liked what I've seen so far. In this page, you can find a list of the top and most interesting Fractured Lands gameplay videos, including amazing plays, epic fails, funny moments and guides, upvoted by the community. You can share Twitch or YouTube Fractured Lands video URL and discuss each play with our website visitors.